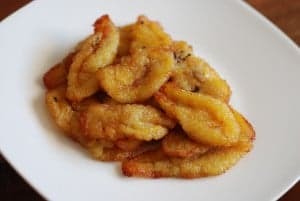 Fried plantains are loved in the Congo’s they are really easy to make and are delicious with the moambe chicken and Congo rice. There is something special about the combination of flavors with the banana bite and moambe sauce. Enjoy! 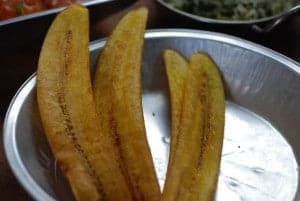 Peel the plantains and cut diagonal into about ½ inch thick slices. In a large pan, heat the oil over medium-high heat. Add the plantain slices to the pan, keep in a single layer, and cook about 2 minutes on each side. Remove the plantains with a slotted spoon and transfer to a plate lined with paper towels. 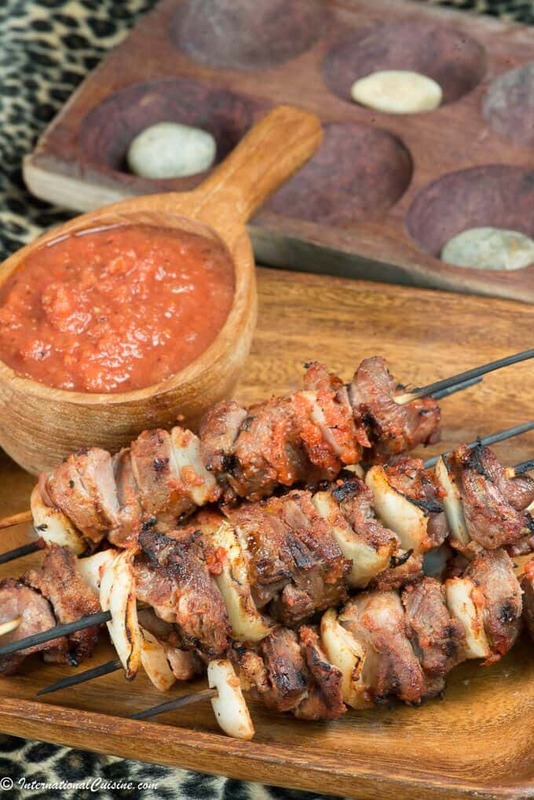 Rwandan goat brochettes are another beloved street food. These are simple to make if you can get your hands on some goat meat otherwise you can substitute beef, chicken or fish. All of which would be authentic. I was able to find goat in my local Asian market and the flavor of these brochettes marinated in a tantalizing spicy tomato sauce were amazing. Brochettes are considered to be the national dish of Rwanda. The smell of these cooking over the fire is divine. No wonder they are such a beloved street food, they are hard to resist. Goat is the number one meat of choice, and they also make them with goat offal in which case they are called zingalo. Fair warning you can not eat only one brochette. To make them is very simple. First make the sauce which is made of tomato puree, maggi, vegetable oil and of course some pili-pili chili. You will reserve some of the sauce to serve as a side, as well as for basting during the grilling. Make sure to soak the wooden skewers, so they don’t break on the grill. You will want to let the brochettes marinade for about 30 minutes. Then you heat up your grill to medium high flame and cook for about 3-5 minutes a side. Be sure to baste them while grilling with the sauce. They are best enjoyed hot off the grill, serve it with the reserved sauce. You should serve them with a side of sweet potato fries (which are also delicious dipped in the sauce) and fried plantains for a full meal. If you would like to learn more about this beautiful country also known as the land of a thousand hills, be sure to check out “Our Journey to Rwanda“. 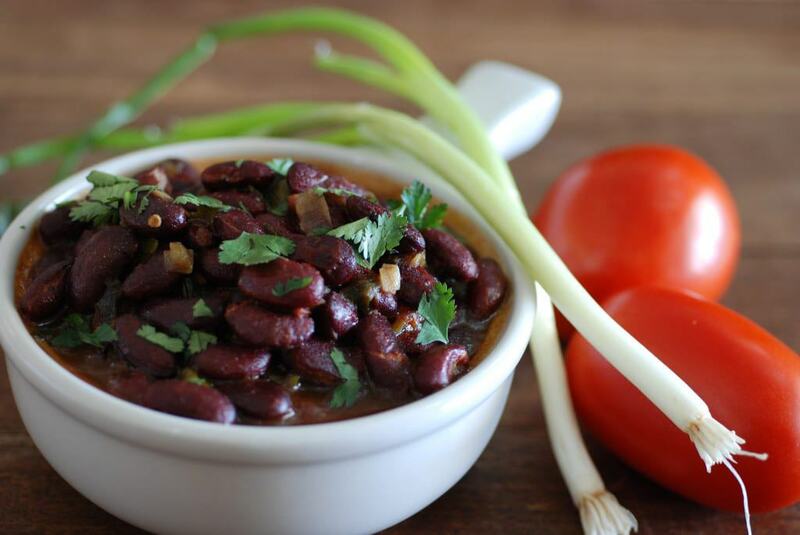 Plus get more authentic Rwandan recipes. 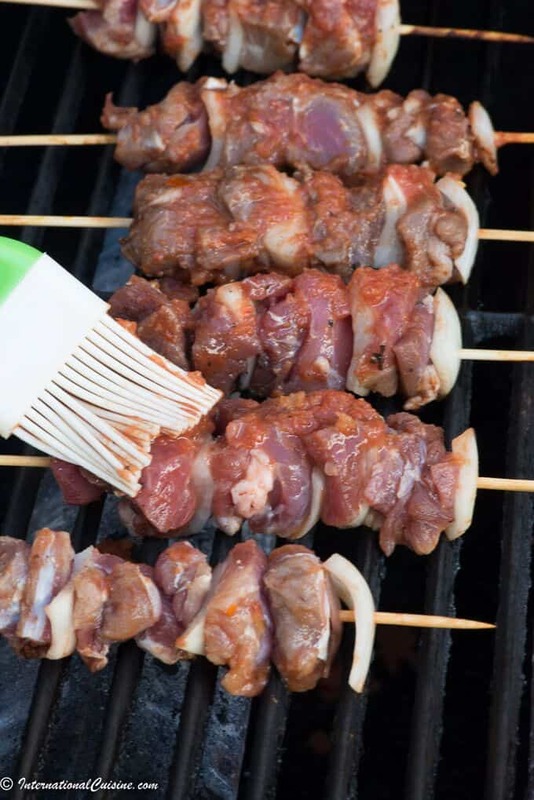 Rwandan goat brochettes are considered to be the national dish of Rwanda. 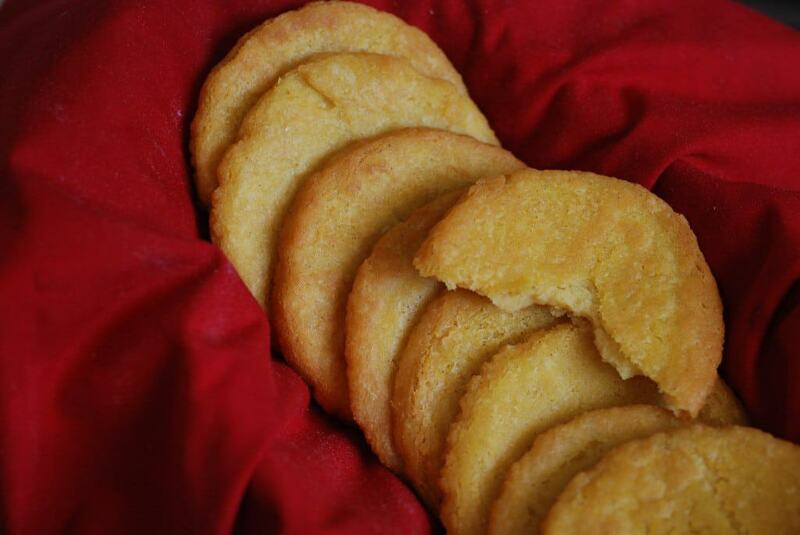 They are super easy to make and really tasty! 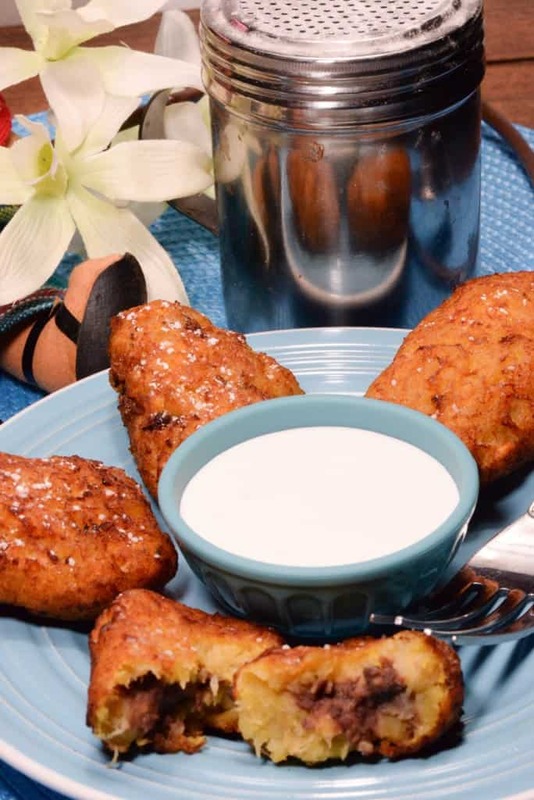 Serve with sweet potato fries and fried plantains for an authentic Rwandan meal. Soak the wooden skewers in water for about 20 minutes. 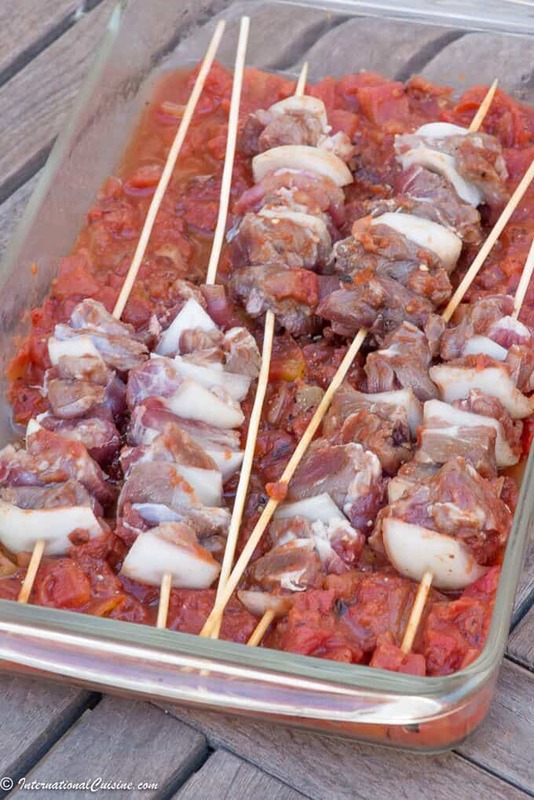 Form the brochettes by alternately threading meat and 2 to 3 pieces of onion onto the skewer. 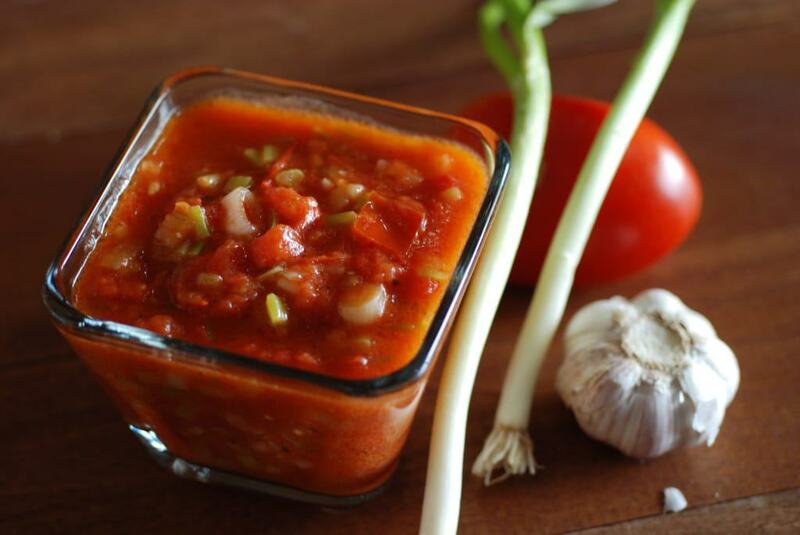 Mix the crushed tomatoes, the diced onions and the pili-pili chilies (pounded to a paste) along with the tomato puree. This should create a medium thick sauce; add a little oil and water to attain the desired consistency. Reserve half of the sauce for dipping. Put half the sauce in a pan with the skewers and turn to coat, let marinade for 30 minutes. 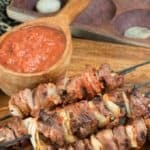 Then lay the skewer on the grill Brush the sauce on all sides of the brochettes, adding more of the sauce as you turn them. Turn them about 3 times. Allow it to cook for about 3 minutes. The brochettes are ready when just cooked through (about 8-10 minutes) and should be a nice reddish color, due to the sauce. Serve with sweet potato fries and use the reserved sauce for dipping. Guatemala, in a dialect of the Mayan language, means “The place of many trees”. It is aptly named, as over one third of the country is forested. Shades of every color of green imaginable, exist there; containing nearly 300 metric tons of carbon-absorbing, living, forest biomass. Guatemala’s forests are home to over 1200 species of amphibians, birds, mammals and reptiles. Breathtakingly beautiful, Guatemala is a nature lover’s paradise. Located in Central America, her neighbors are Mexico to the north and west, as well as the Pacific Ocean to the south. Belize, Honduras and El Salvador, along with the Caribbean Sea, lie to the east. There are three principle regions; the northern lowland plains, the volcanic highlands and the Pacific lowlands. The majority of the population lives in the temperate highlands, which is where the capital, Guatemala City, is located. Modern day Guatemala was built on the foundation of the Mayan civilization. Mayan history, known as the Classic Period, can be uncovered in multiple sites around the country. The biggest and most famous is the Tikal temple, a UNESCO World Heritage site. In fact, there are four important UNESCO sites, the most in any Central American country. The Mayan civilization collapsed around 900 AD and the reason for their downfall is still debated by scientists. The “Drought Theory” is the now the most widely accepted, as the Mayans were an agricultural society that relied on rainfall. It is believed they had to abandon their homeland or die from a drought induced famine. Recent discoveries, such as obsidian arrowheads, suggest human presence existed there as early as 18,000 BC. There is an overwhelming sense that many precious artifacts and treasures are still left to be discovered in this land. Guatemala was conquered by the conquistador, Pedro de Alvarado, in 1524. They gained independence from Spain, along with several other countries, on September 15, 1821. The official language is Spanish, along with 23 recognized, indigenous languages. Guatemala was, at one point, part of Mexico and then part of the federation known as the United Provinces of Central America, until its collapse in 1839. It was in 1945 that a constitution was adopted, after decades of dictator-type leadership. The constitution was supposed to give equal rights for all people, including the Indians. However, Indians continued to be exploited and disparaged until only recently. The Ladino elites (Persons of mixed or non-indigenous race and heritage) were compelled to change their attitudes, after Rigoberta Menchu, a young, Maya woman, was selected for the Nobel Peace Prize in 1992. The time leading up to the 21st century, unleashed a horrific civil war that lasted from 1954-1996. This was a tragic time when over a million Guatemalans had to flee the country, over 450 Mayan villages were destroyed and over 200,000 people were murdered. The United Nations based, Historical Clarification Commission, attributed more than 93% of the human rights violations to the military government, and determined that 83% of the victims were Maya Indians. The Commission concluded that State’s actions constituted genocide. Thankfully, a peace accord was signed in 1996 between the guerillas and the government. The country has since experienced healthy, economic growth and gives their people the right to vote in democratic elections. 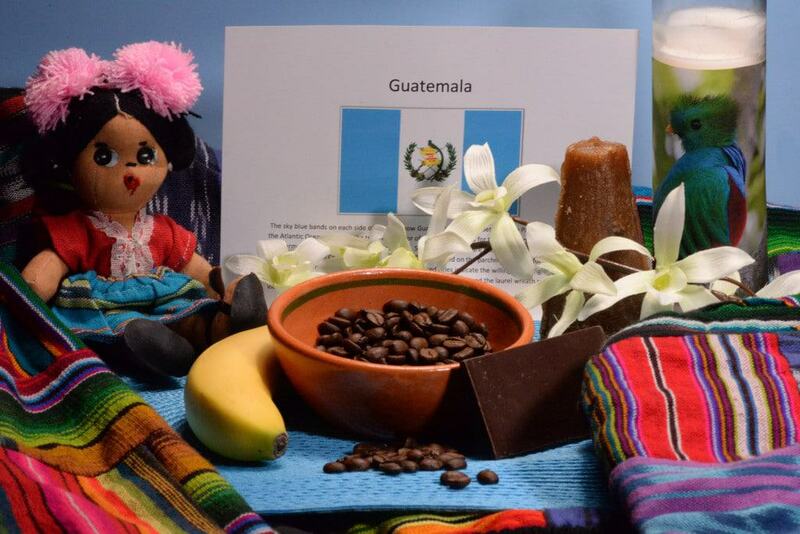 Guatemala produces many exports, coffee being the most important, but also significant, are exports of raw sugar, bananas, gold and precious metal ore and they produce most of the jade in the world. The Maya get the credit for making the first chocolate bar. Guatemala has a thriving textile industry, which employs many of its citizens. Its eco-tourism industry has been gaining momentum and has a huge upward potential for their economy. Ironically, in a very recent development, corruption charges were brought against the current president, Otto Perez Molina and vice president, Roxana Baldetti. It brings into question whether this country will ever be led by someone with the people’s best interests at heart. Interestingly, the front runner, to replace the president (who now is serving jail time), is a comedian, with a slogan that goes “Not corrupt, not a thief”. Whoever wins this critical election, will have an opportunity to create a fresh start that the people of Guatemala so desperately deserve. This country has a lot to offer, but it is the people that make this country so special. They are a proud, hard-working people, who are friendly and love to eat, drink and socialize at the many festive occasions, most of which revolve around religious holidays. Guatemalans are mostly Roman Catholic, and Protestant, along with indigenous, Mayan religious believers. Guatemala’s national sport is soccer, which is celebrated throughout the country. One of the most revered celebrations is All Saints Day, or Dia de Todos Santos, which occurs on November 1st. This is a day to commemorate and pay respect to the deceased. A unique part of this tradition is the Kite Festival. Giant kites, that can span up to 20 meters (about 60 feet), are displayed and then these brightly colored kites, fill up the sky. Each kite has a unique design, similar to the designs on clothing, which signifies their village. It is believed that the soul of the deceased is able to identify their family members by the colors and design of the kite. There is also a competition for who can keep their kite in the air the longest. At the end of the festival, the kites are burned near the cemeteries, allowing the dead to return to their resting place. It is considered a curse, if for some reason, the kite does not burn. It is as though the soul does not want to leave. 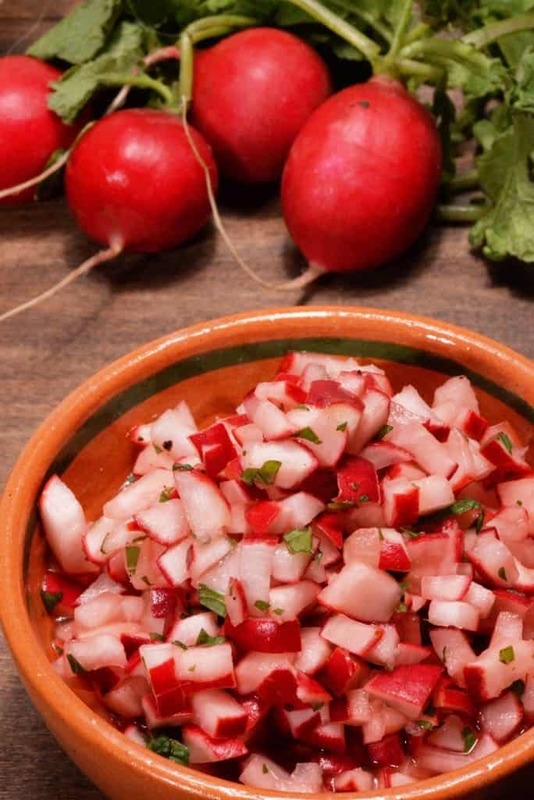 The meal that commemorates this holiday is called “El Fiambre”. 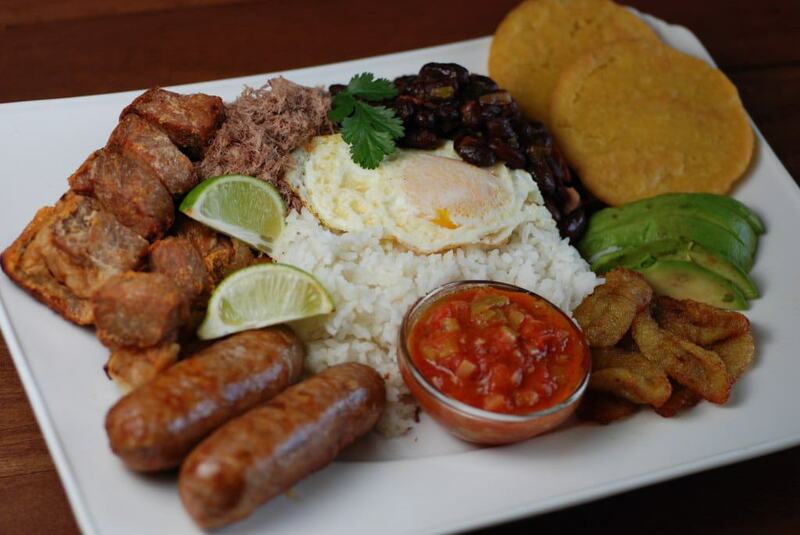 This is a cold dish made with more than 50 ingredients including vegetables, sausages, meats, fish, eggs and cheeses. The preparation takes at least two days to make and is often served with the family gathered around the grave of a loved one. 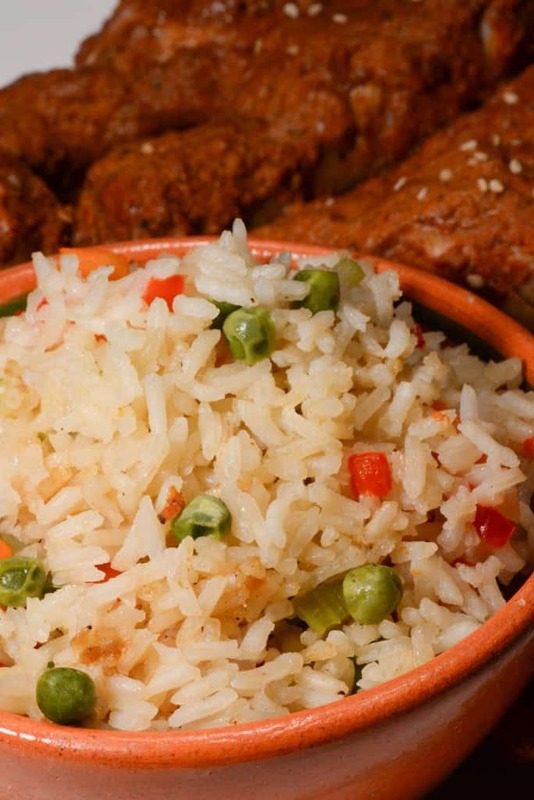 As we look into their cuisine, the Maya and Spanish clearly have provided the most influence. Rice and black beans with corn tortillas are found at nearly every meal. It is amazing to watch a Guatemalan woman make a corn tortilla from scratch, using only her hands to shape the tortilla. It truly is an art form! 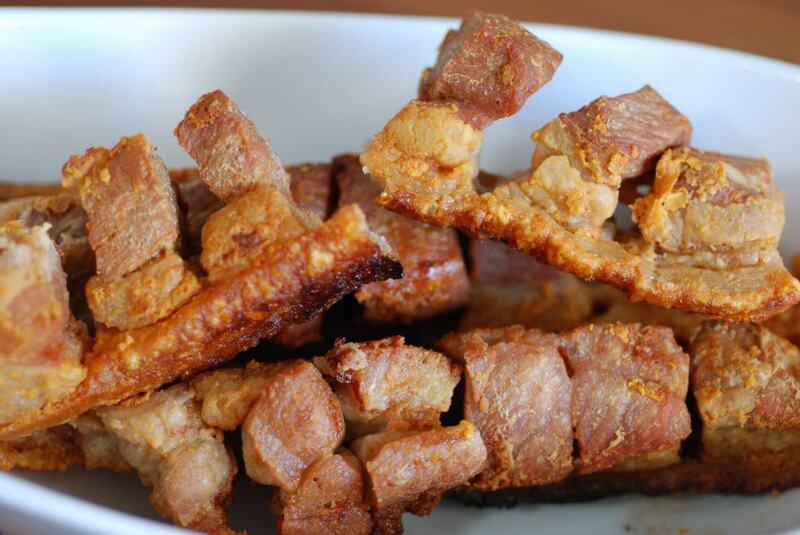 Chicken, pork and beef are the most consumed meats, with fish being a local specialty along the coast. 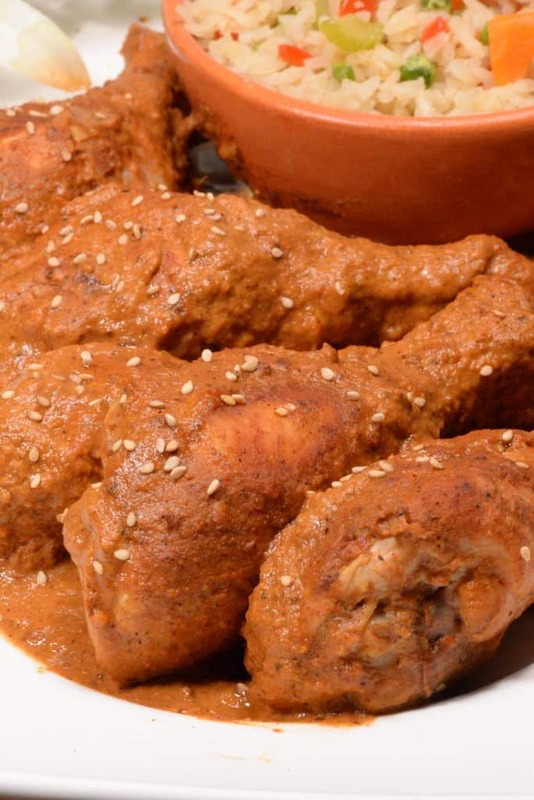 Meats are often served grilled or in stews called “caldos” and cooked in a chili sauce. Guacamole (mashed avocado, with onions and spices) is ubiquitous. Chile rellenos and especially tamales, are favorites all over the nation. 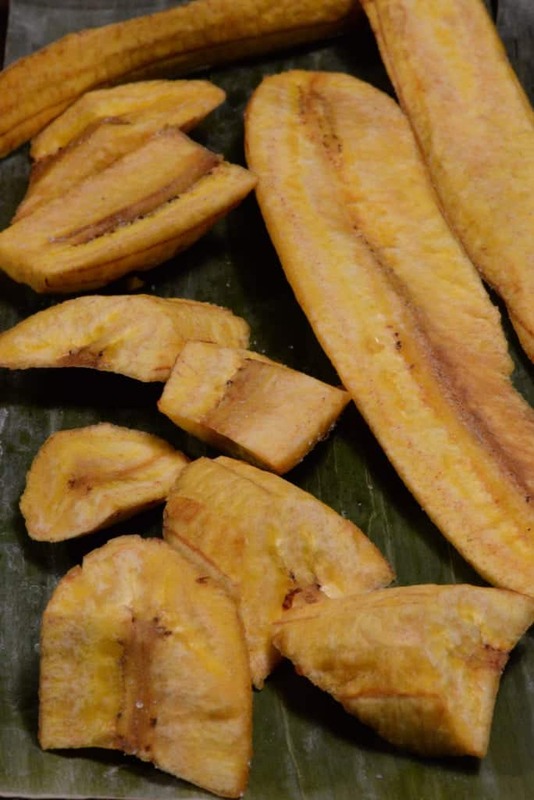 The Guatemalan’s typically wrap their tamale in a banana leaf, as opposed to a corn husk, which imparts a unique flavor to the tamale as it cooks. 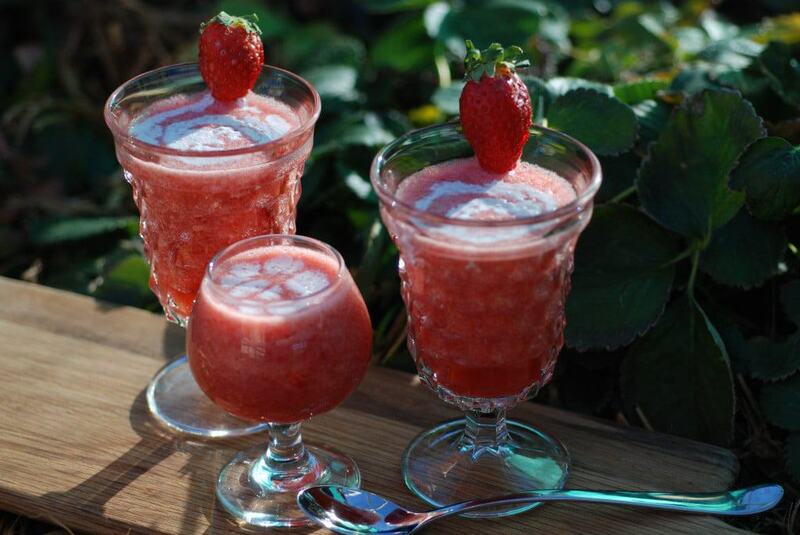 Fresh fruits and vegetables are widely available and enjoyed as part of the everyday diet. 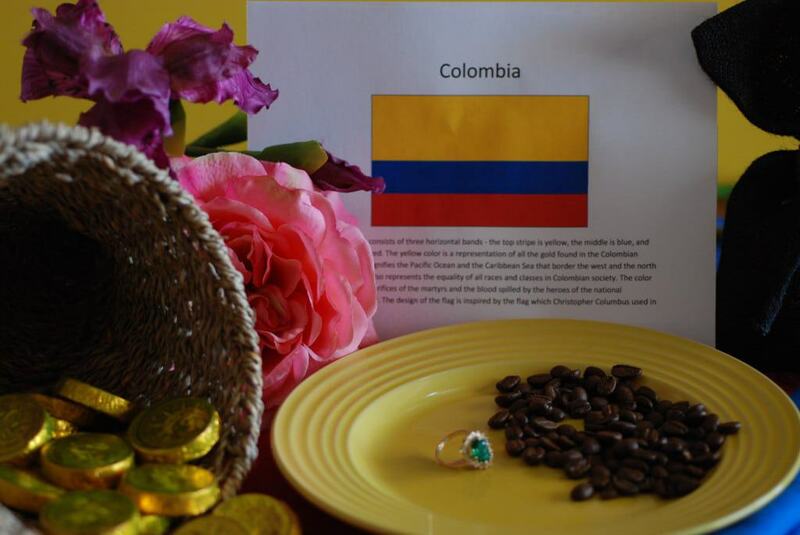 We set the table with treasures from our trip to Guatemala some years ago. A handmade doll and the colorful fabrics, for which they are famous, decorated the table. Alongside them we placed a candle, with a picture of a quetzal, an absolutely beautiful bird, (it is the national bird) and almost as colorful as their textiles. It also bears the same name as their currency. It is said, the tail-feathers of this bird were in fact used as currency in the Mayan Empire. In the background, we put on some classical, Latin guitar music that we fell in love with on our trip there. 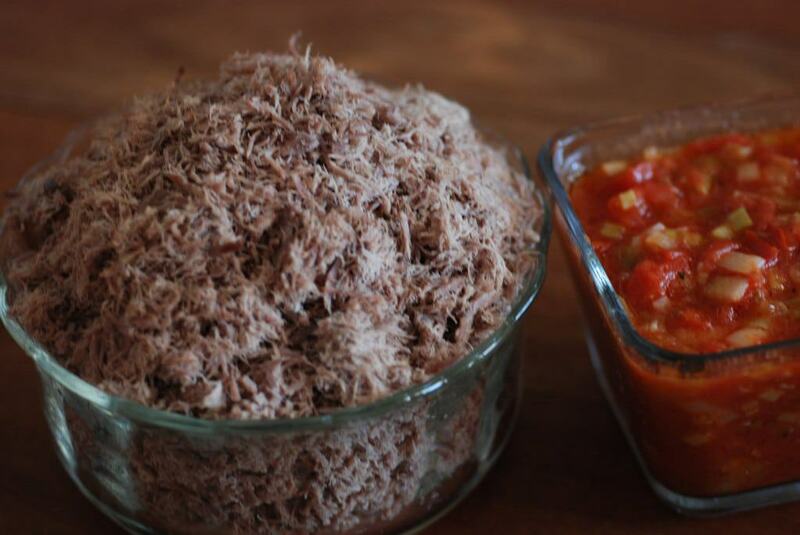 For the first course, we started with a shredded beef salad, called Salpicon. 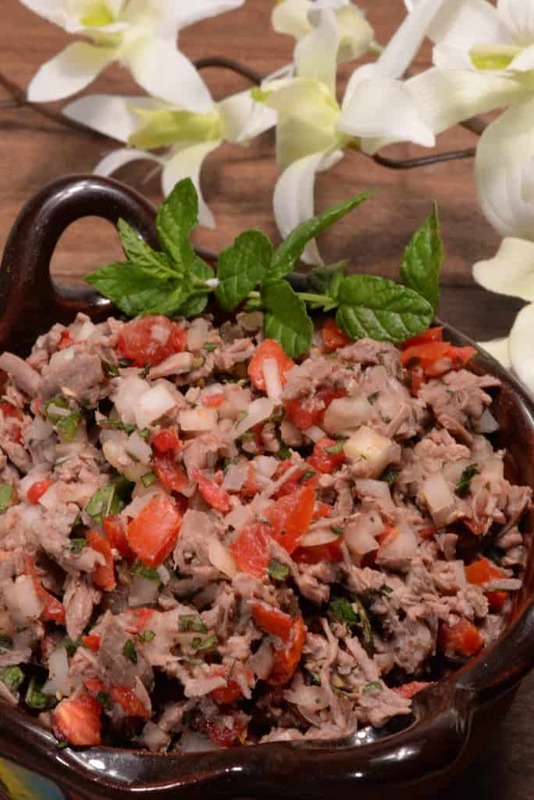 This dish is popular all over the region, however they make it with mint in Guatemala, which gives it a unique and tasty flair. This was served with a fresh, radish salad and of course some homemade corn tortillas. I must admit, I used a tortilla press to make them, as I have not been able to master the art of forming them by hand. (One day!) 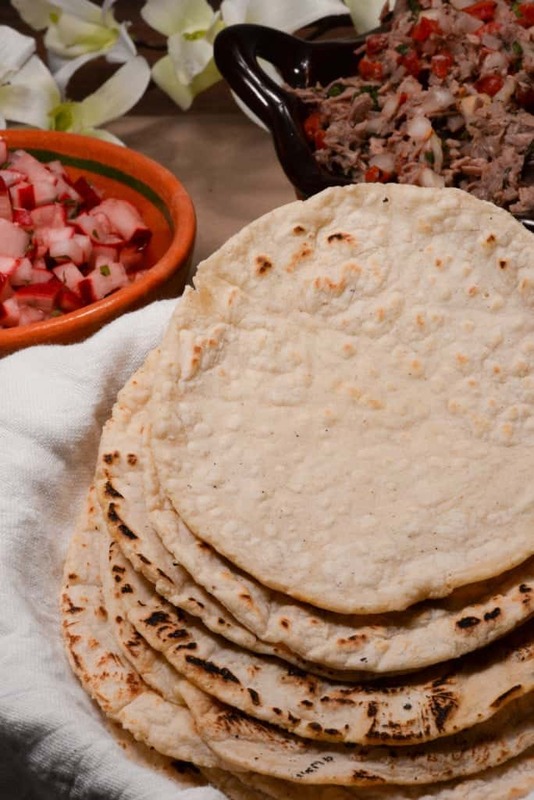 But whether made by hand or with a press, nothing can beat homemade tortillas, YUM! For the main course we enjoyed a dish that should be considered their national dish, although they haven’t officially declared one yet; it is distinctively Guatemalan. It consists of a complex sauce, made with roasted sesame and pumpkin seeds, along with cinnamon and numerous chilies and vegetables. The result, served over chicken, was awesome. Some may say it is an acquired taste, but for us it took no acquiring at all; we simply loved it. Sometimes “Pepian” is referred to as Guatemalan mole’. We put this next to the rice, which was flavored with the broth from the chicken and vegetables. Very delicious. For dessert, we delighted on mashed plantains, stuffed with sweet black beans, then fried and topped with sugar and cream. These sweet treats, called “Rellenitos de Platano”, along with a cup of Guatemalan coffee, was the ideal ending to our Guatemalan meal. When we traveled to Guatemala, we stayed with dear friends who had grown up there. They took us all around their beautiful country, to both coasts and everywhere in between. What I remember most was their incredible hospitality; they served up delicious food, cervezas, and some very late nights, filled with music, dancing and laughter. But isn’t that what life is all about, enjoying good food, good friends and a good time? This, is essential Guatemala.